While flying to a race, Alec Ramsay and the Black’s plane crash-lands in the stormy Caribbean. 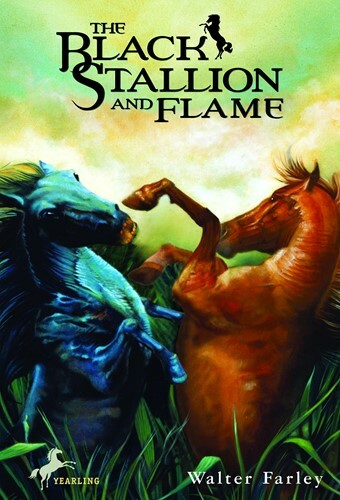 Chance brings the Black to the hidden island home of the giant red stallion, Flame. Such a small island can only support one alpha male. But before the two can fight–a fight that can only result in the death of one–a new danger appears. Together, can the stallions defeat the deadly foe which threatens the lives of the entire herd of wild horses? From the Trade Paperback edition.